My legs were hurting and pictures of my comfortable bed were flashing before me as I loaded the last of the packets into my car and from the look on everyone’s face on my team, I could tell,probably, they felt no different. But it was hard to miss –the look of satisfaction on each of them as we finally wrapped up our first big ballet dance production in 2015. “The Spectacular Circus. This is our dance show, girls”, Yana said. That was the first time I heard the name. Going by the air of importance with which our Artistic Director Yana Lewis said this, coupled with a ‘we need to push ourselves to fifth gear now’ from our Executive Director, I had no doubt that whatever it was, it was going to involve a large crowd and even larger responsibilities. I got the first hang of it when I realised our first ballet dance production involved 456 performers. Yes, you read it right ! Rehearsals had already begun. Our teachers were devoting their time and energy into making every ballet move perfect and in sync.The venue for the show was booked. The work for the marketing and branding was to begin and I realised, it was time to start counting the weeks to the show. 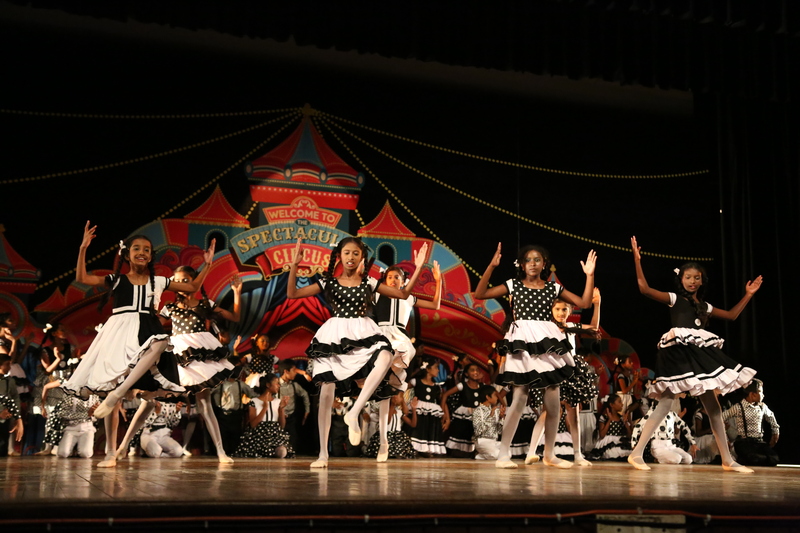 The greatest challenge perhaps was the fact that majority of our performers were young ones in the age group of 4 years to 7 years. Even Yana admitted that her initial thoughts about having 456 perform for a theme such as circus, with the youngest performers aged four could only be termed ‘unachievable’. But then, the next second she knew she could turn the circus theme into a ballet dance show. The decision was unanimous- ‘let’s do this’. According to Yana, it was a challenge as the dance vocabulary of little children is limited. But we followed our imagination and tried to portray their characters through their movements. As the show began growing in our minds, our brains paced from lions to poodles; ponies to clowns and all other aspects of a circus slowly were added to the show. With this in mind, the steps, costumes, music and lights unfolded in our minds from the very beginning. Another important decision was to incorporate older students to spice it all and show the little ones what they can achieve in the near future. While choreography forms the core element of any ballet dance production, the show gets its beauty and grandness from the elaborate and colourful costumes, in this case, themed around circus animals, clowns and acrobats. And I was already liking the feeling of scattered sketch books that was pinned to our designer Christina’s table. Her life revolved around selecting the best fabrics, getting the tailors to stitch them exactly the way she wanted and then making sure they fit perfectly on our dancers. Each of these costumes was designed in such a way that it highlighted the movement of dancers and theme of the choreography. And my team, on our part, worked towards building the look and feel for the show.From social media campaigns to passes; brochures to backdrops for the stage, we pieced together every element. 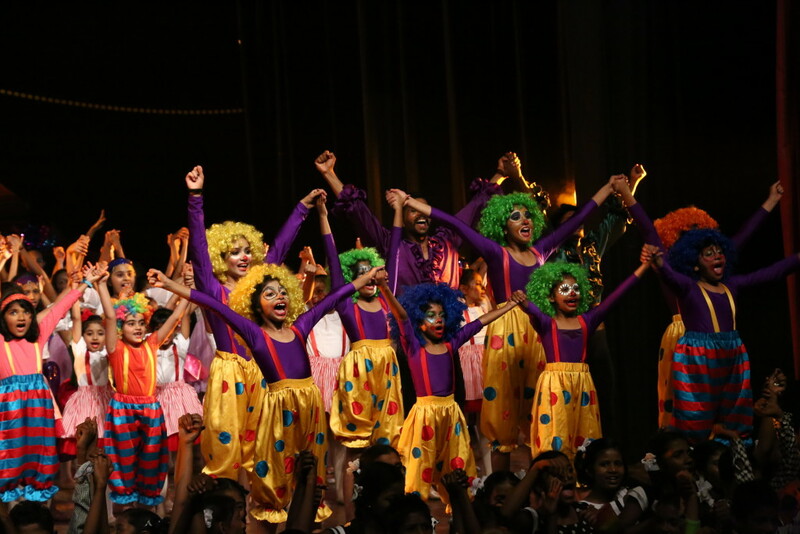 Everyone was excited about the show, but it reflected the most in a bunch of 64 young dancers from our outreach programmes with Parikrma Humanity Foundation. These children had heard about ballet for the first time, three years ago, when Yana decided to take ballet to children from underprivileged backgrounds. During the initial days, these children only had the courage to watch with awe a ‘foreigner’ trying to teach them some dance.But today, when you see them confidently call ‘Yana Akka’ and show her the ballet steps, you know they have come a long way. Our team made sure their parents were also present among the audience to watch their kids perform ballet. Meanwhile, our team of choreographers were involved in rehearsal after rehearsal, even to the last day to get every move perfect. From entry to exit of the performers on the stage to the coming together of all dancers for the dance finale, a lot had to be taken into account when a dance performance involved as many as 456 performers. And the only way to perfect that was ‘more rehearsals’. It is amazing what a beautiful yet simple illustration (on the left ) can do to transform your whole stage. 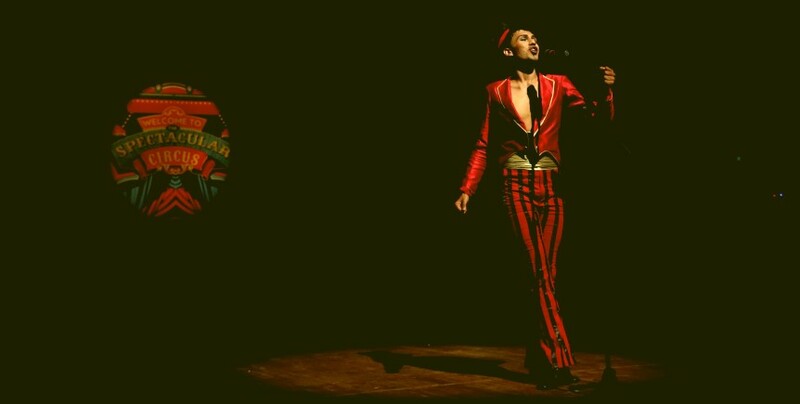 Our Graphic Designer made sure every essence of a typical circus tent was captured in his work, which was then printed to form the main backdrop for the stage.Oh, the joy that I experienced when the massive frame (30feet by 40 feet ) was finally set up on the stage! But there was more. We also set up a pyramid structure, 9 feet tall and made of metal, from which would emerge the Egyptian dancers and finally the ringmaster, kick-starting the Spectacular Circus. 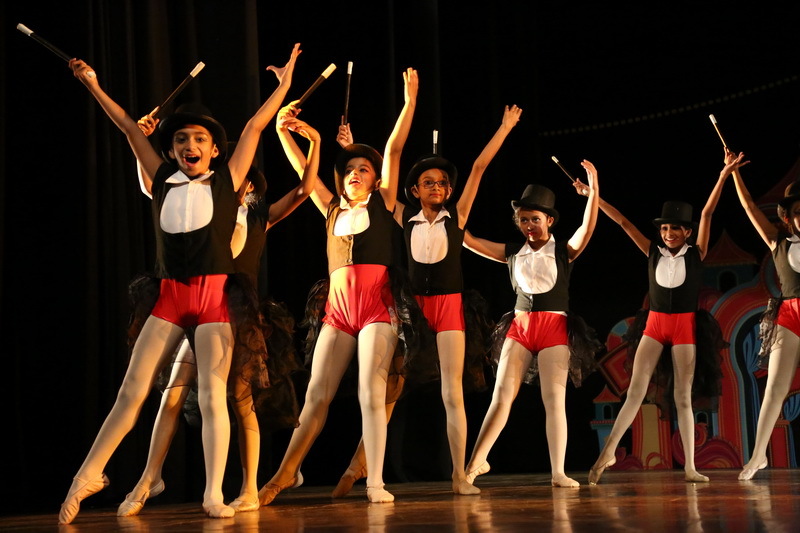 With help from our Light and Sound designer Niranjan and a bunch of volunteers with ‘ready-to-do’ attitudes, we made sure all the efforts of dancers and our teachers paid off, ultimately giving the audience a ‘spectacular’ ballet dance show. With ballet, there will be excitement, fun, madness and a lot of learning experience. Here is your chance to experience it. We have our second ballet production based on the famous theme the Wizard of OZ on December 12, 13, 2015 at Dr.Ambedkar Bhavan, Bangalore. Do you want to be part of this madness? Write to us and you will be with us putting together a ballet dance production.